WASHINGTON — Airstrikes from the coalition, led by the U.S., struck targets believed to be held by the terrorist group Islamic State (also known by the acronyms ISIS or ISIL) in the crucial border town of Kobani. 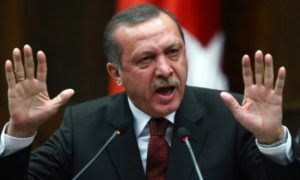 Reuters reported that the Islamist terrorists fired shells that hit other areas of the city and hit areas in Turkey close to the Syria-Turkey border. Kurdish fighters from the peshmerga have tried to stall Islamic State forces for a month in the Kurdish border city, and airstrikes have had minimal success, according to some. The airstrikes have extended from Iraq, where Islamic State holds significant swaths of territory, to Syria, where it has made significant inroads.